Come together with a neighbor or fashionably spice up a double residence with the Mayne Newport Plus Double Mail Post. This classic Mail Post fits over a standard 4×4 post to create a stunning, visually attractive space for two mailboxes. Mayne’s Mail Posts are crafted from high-grade polyethylene for durability and longevity that will last throughout the seasons. 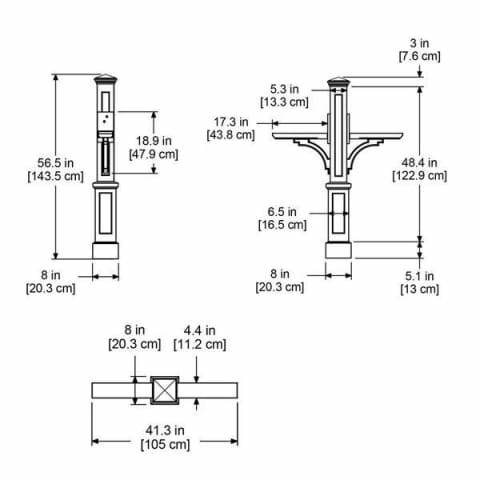 Included is a large decorative post and dual side-mounted mailbox support arms. The Newport Plus Double Mail Post offers more than just a functional place to pick up your mail.